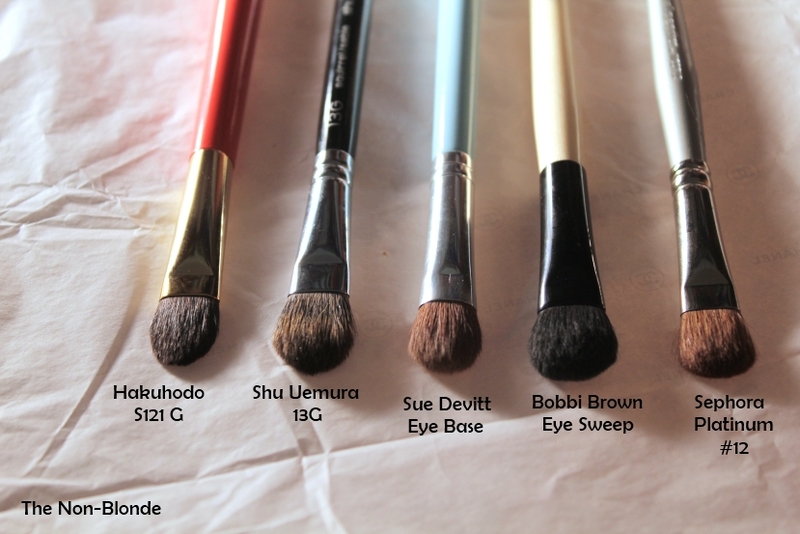 These three Shu Uemura brushes are a great example for basic tools that work hard and can serve you for many years. 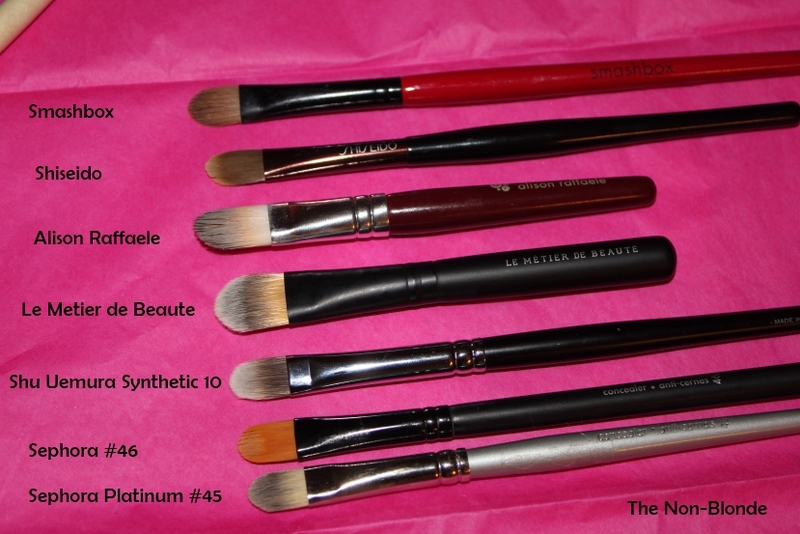 None of them has a unique shape or offers any innovation, but the meticulous quality and flawless design made them quite essential in my collection. 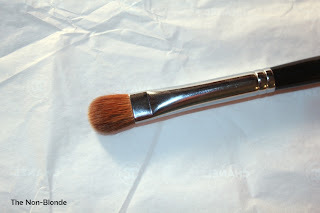 Until I met Hakuhodo, that is. 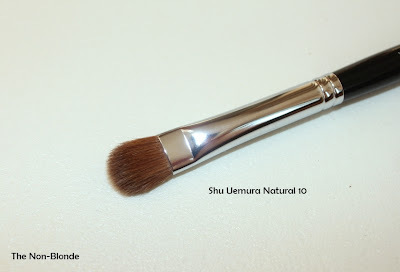 Shu Uemura Natural 10 is a medium size kolinsky/sable brush that can lay down any eye shadow- cream or powder- pack it on, blend a little, cover the lid and even do an all-over color wash if your lids are small enough. 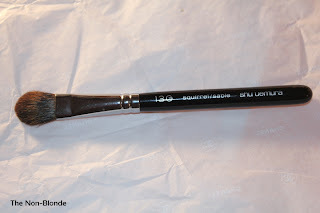 It's not as tapered and precise as the Hakuhodo S133 (and not as soft, either), so have I not had it for so long I would have probably not bothered, considering it's exactly twice as expensive as the Hakuhodo brush. 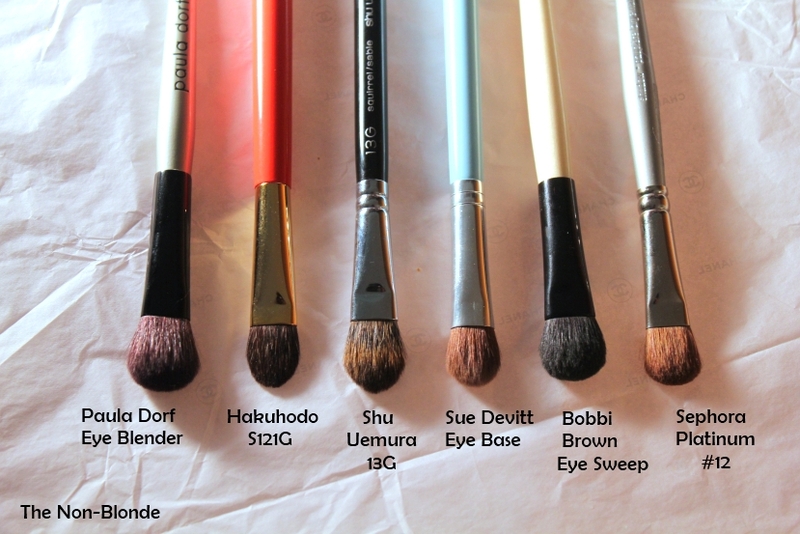 Yet I know that some might prefer the extra fluff of Shu Natural 10. 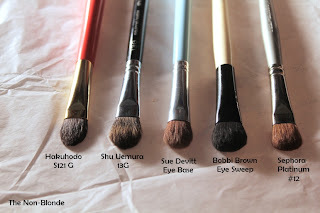 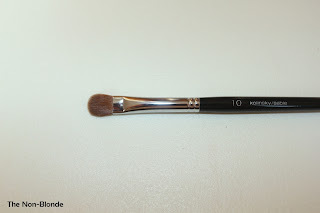 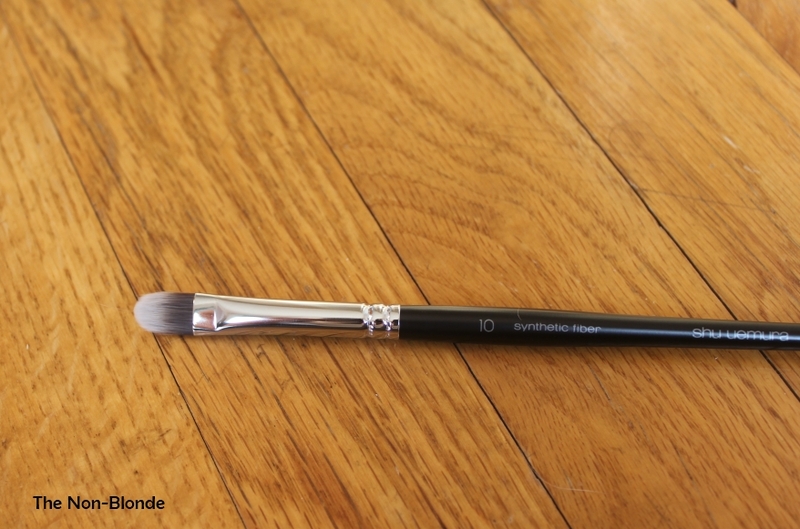 Shu Uemura Synthetic 10 is its sibling, a cream shadow, concealer and primer classic brush. 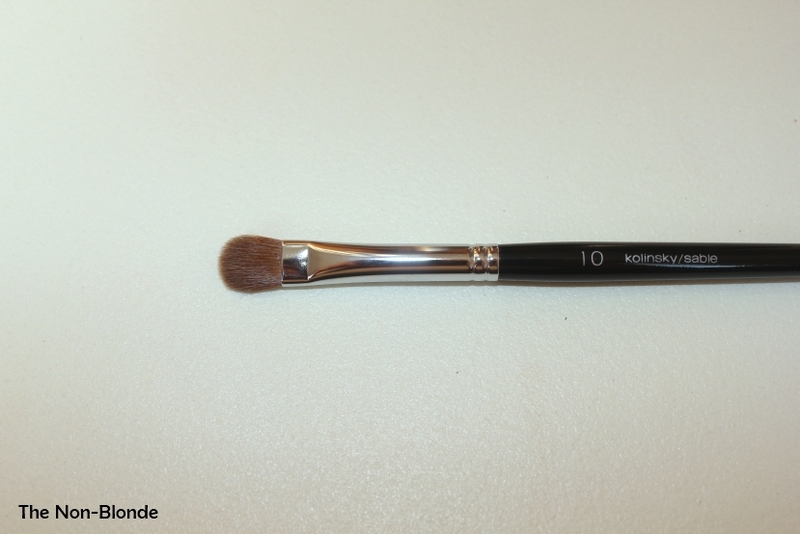 It's very dense and firm, gives excellent coverage and cleanse up easily. 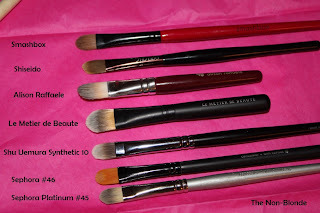 It's closest in size, shape and proportions to the Sephora #46 and Shiseido concealer brushes, but is packed more heavily and holds more product at a time, making for smoother application. 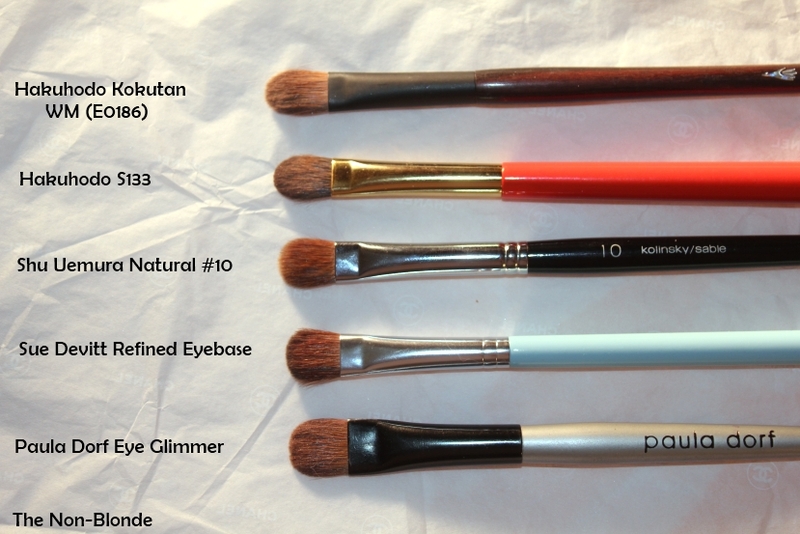 Bottom Line: best in class. 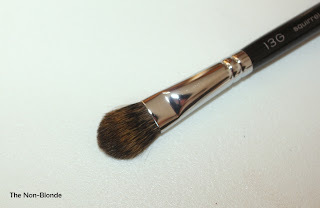 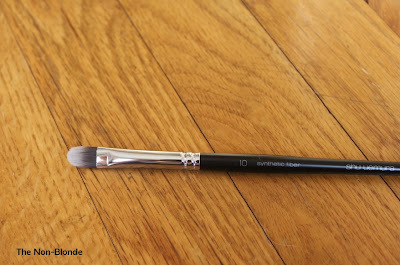 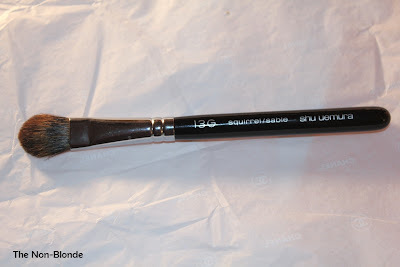 Shu Uemura Natural 13G is a super fluffy sable/squirrel brush that works great for an all-over application and rough blending, the kind done with Paula Dorf's Blender brush. 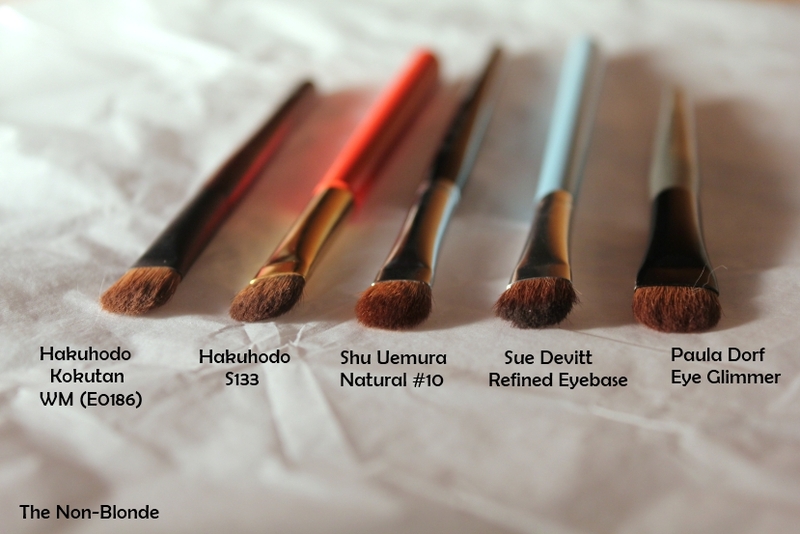 The Natura 13G is softer than the Sue Devitt Kolinsky Eye Base, smaller than the Bobbi Brown and fluffier than Hakuhodo 121G, though I more or less use all of them interchangeably. 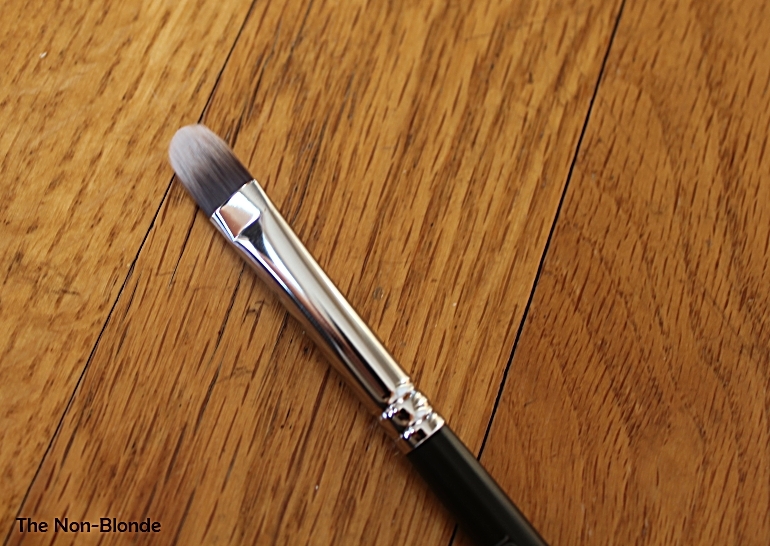 It's a wonderful brush and you shouldn't be afraid to use it with cream and even liquid formulas (works beautifully with Becca Eye Tint). Shu Uemura Natural 10 ($68), Natural 13G ($46) and Synthetic 10 ($36.50) Eye Brushes are available from shuuemura-usa.com or, if you're in Canada, Asia and many European countries, at your local top department stores.